Welcome back to day 2 of my Rose and Milk Soap adventure. I was not happy with how yesterday’s soap turned out. 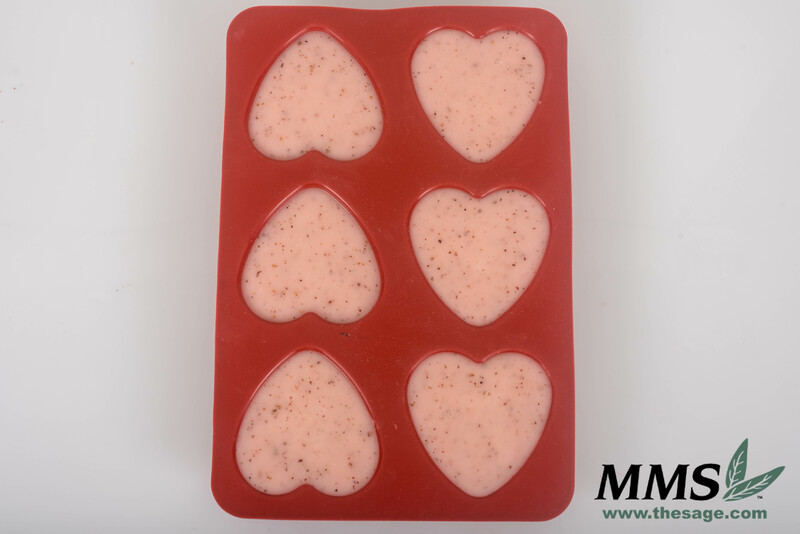 So, today I am sharing another recipe for a Rose and Milk Soap. After making the world’s ugliest soap, Andee gave me a suggestion. She told me to try grinding the rose petals and mixing the ground rose petals directly into my batch of soap. She also recommended to color the soap pink using our Amethyst Pink Pigment and hopefully, that would offset the brownness of the decomposing rose petals. I went back to the blog kitchen to try it out. After making my soap, I came in the next morning and popped the soap out of the mold. Unfortunately, I was still unhappy with how the soap turned out. 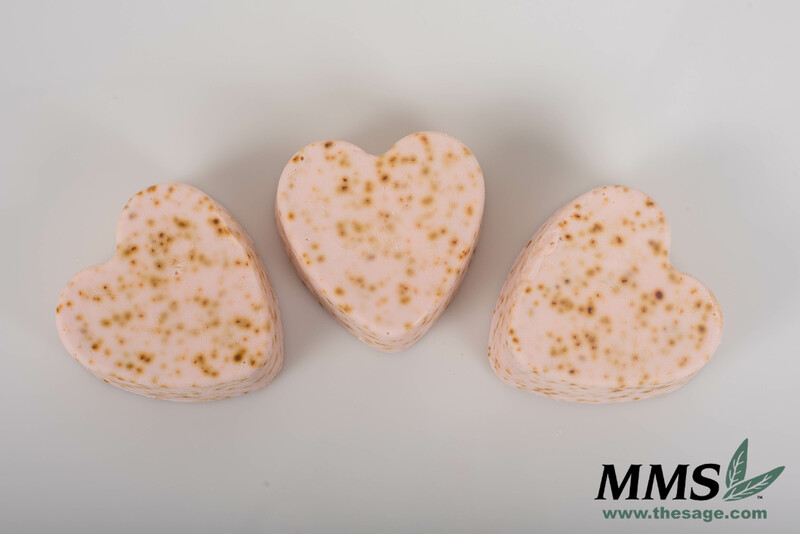 At first, I thought the color looked great, but after letting it sit overnight, I discovered the color of the soap had lightened and the rose petals started to turn brown. I don’t think that I used enough Amethyst Pink color because I ended up with a very light pink soap filled with brown dots. I’ve been told it is a pretty soap, but it isn’t what I was hoping for. Come join me in the kitchen to make another batch of soap! The basic recipe is the same, I just ground the rose buds before adding at trace with some Amethyst Pink color premixed with Glycerin. 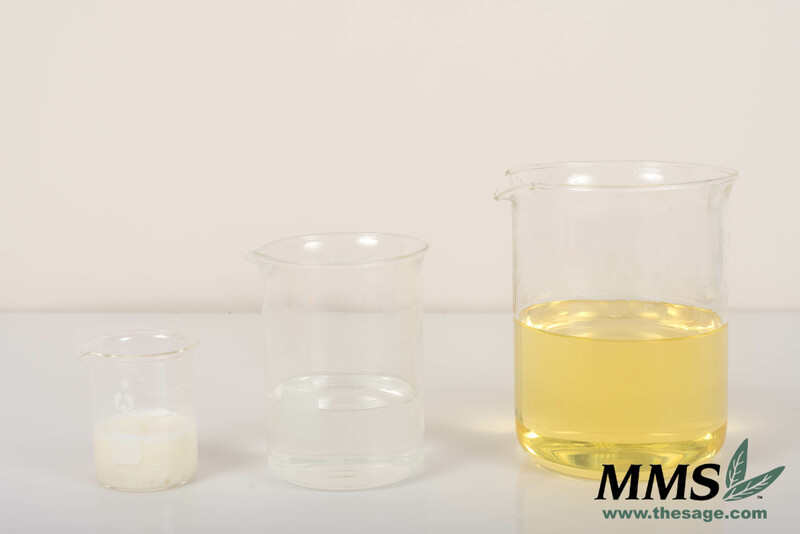 The first step to making this soap is to weigh out the Hydrogenated Soybean Oil, Palm Kernel Oil, Sunflower Oil, and Apricot Kernel Oil. 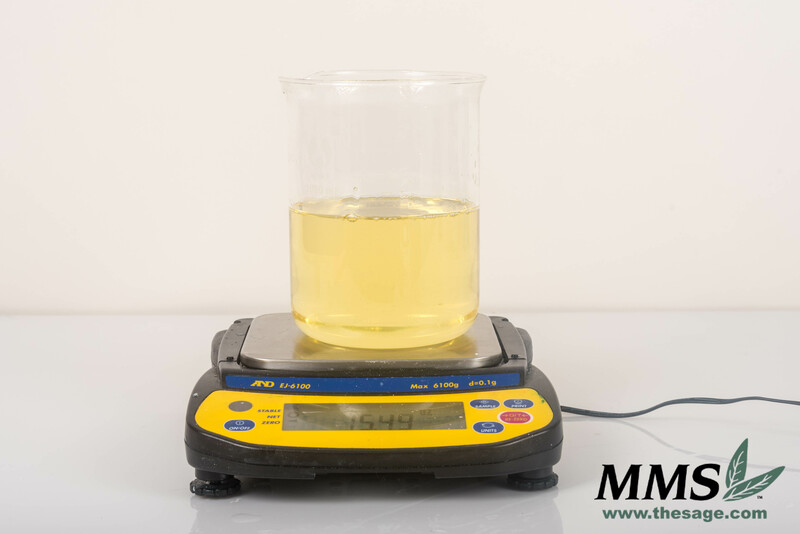 Once the oil ingredients have been weighed out, they need to be heated. Use a microwave or double broiler pot on the stove. Just be careful not to overheat the mixture! While the oils were warming, I worked on making my lye solution. I usually use 6 ounces of water for a 1 pound batch of soap because I am adding Milk Powder, I lowered it to 5 ounces. Then in a separate beaker I weighed out 1 ounce of water and added 1 tablespoon of Milk Powder, this slurry will be added at trace. The oils and lye solution need to cool to around 120°F. Once they are cool enough pour the lye solution into the oils and stir using an immersion blender. I put a scoop of Rose Buds and Petals in my hands and rubbed them together to make them more like a powder. Once trace is reached, the Rose Fragrance Oil, Milk Powder with water, Amethyst Pink Color, and ground rose petals can be added and mixed into the raw soap. 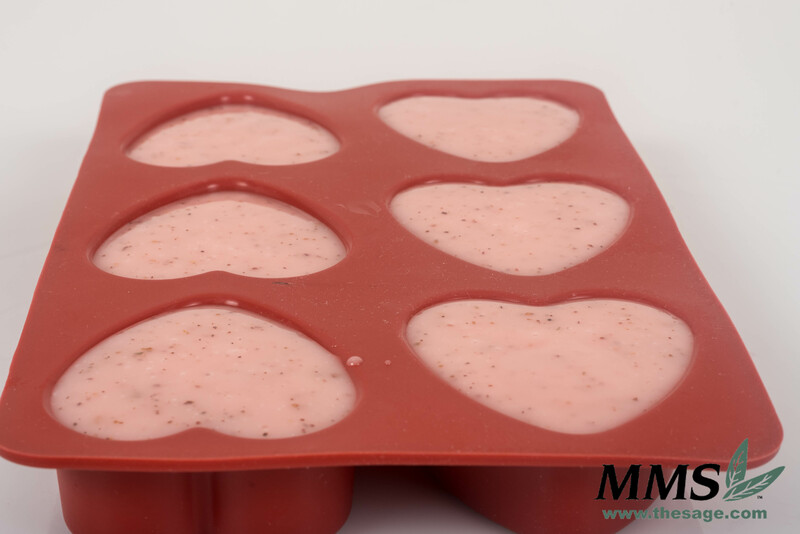 After everything is completely mixed, pour the raw soap mixture into the molds and allow to set for 24 hours. Check back in tomorrow for another, hopefully better, Rose and Milk Soap. Katy, I think your soap looks nice. At least you didn’t do the classic beginner mistake and try lavender soap with lavender buds. The buds turn black and it looks like you stirred mouse turds into your soap. One of my early mistakes was egg soap that stank of sulfer. That is hilarious! I am tempted to try it for Halloween!